[DURBAN – 18 February 2010] Suncoast Casino & Entertainment will be hosting its third annual Career Days initiative on Wednesday 3rd and Thursday 4th March, attracting thousands of talented individuals with a keen interest in the exciting casino and entertainment industry. Over 2,000 candidates participated in the first SUNCOAST Career Days in 2008, many of whom have been placed in permanent positions within KZN’s largest casino. Tsogo Sun Gaming, which owns seven casino properties across South Africa including SUNCOAST, has been voted one of the best companies to work for in the country. Its HR philosophy is encapsulated in ‘The Tsogo Way’ concept, which aims to provide its large and varied team with an environment in which people can thrive and grow. “We also offer a Graduate Programme and have placed nearly 30 graduates in a number of positions at SUNCOAST,” says McCarroll. Candidates will be able to register at the event and apply for jobs. Online registration is also available via the Career Opportunities link at www.suncoastcasino.co.za. This allows candidates to be entered directly into SUNCOAST’s recruitment database. Those attending will gain insight into back-of-house careers such as Human Resources, Marketing, Finance, Surveillance, IT, Hospitality and more. There are also entry level hospitality positions for front-of-house departments like Tables, Slots and Cashdesk. For more information, visit www.suncoastcasino.co.za, contact the SUNCOAST Call Centre at 031 328 3000 or email Catherine McCarroll on Catherinemc@tsogosun.com. 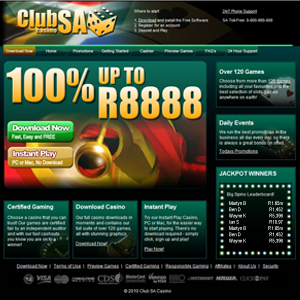 Bonus : 100% Bonus on 1st deposit up to R8 888.00. 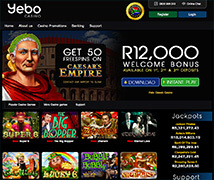 Bonus : R200.00 Free - No Deposit required. 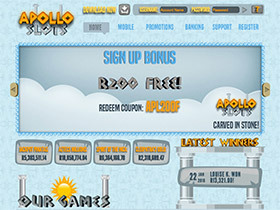 TRYTHUNDERBOLT to Get R100.00 Free.